I was driving behind this truck the other day. 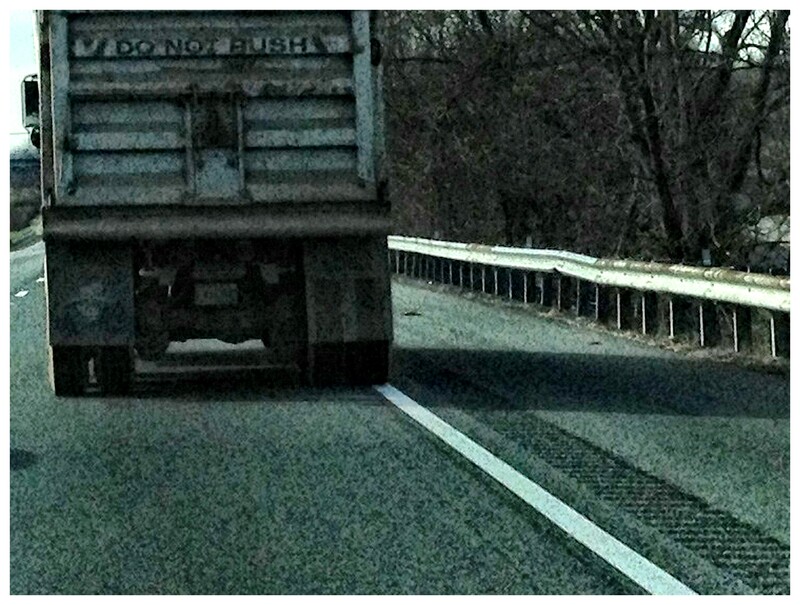 And while it may actually say “do not push,” it read to me as “do not rush” which actually seemed like a very odd message from the universe – made even more odd being delivered on a dump truck. But not being one to look a cosmic message in the mouth or, frankly, to ignore truck wisdom, I took this as a sign. For me, this is quite a challenge and not my nature. But this weekend, I’ve taken a walk, read a book, and decorated cookies. Savoring every minute. I am not making a resolution or anything crazy like that. But I will try to remember how good it feels and maybe it’ll remind me to do it more often. < Even great ideas can be improved. oh how funny….I read that as rush too….. A good message. Happy New Year! Any time I am stuck behind a slower moving vehicle I choose to see it as an opportunity to slow down, take a deep breath, and find some enjoyment in the day! I think of it as life’s reminder to be in the moment, instead of rushing ahead to where I’ll be 15 minutes from now.